If you're not filing your federal income tax returns electronically, you are in the minority. The Internal Revenue Service has seen a big jump in the number of taxpayers using e-file over the last 10 years. In 2008, almost 58% of the 155 million tax returns filed were filed electronically, and it's time for you to get on the bandwagon. There are plenty of benefits to electronic filing, and probably the most popular is the speed with which you can receive your tax refund. If you opt for direct deposit of your refund, you can usually expect your money in one to two weeks. If you prefer a paper check, plan on a couple of extra weeks. In contrast, those who file paper returns never know when they'll receive their refunds. It could be several weeks or a couple of months, depending on how busy the IRS is. The other big benefit to e-filing is accuracy. 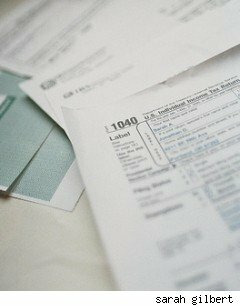 If you send in a paper tax return, someone at the IRS has to key your data into their computer system to check it against other records they have on file for you, such as W-2s and 1099s. If you file electronically, that manual process is eliminated, and you are virtually assured that the information on your taxes will end up in the IRS computers exactly as you sent it.